As a huge supporter of anyone trying to make a difference in the foodallergy world, I am pleased to share about another Food Allergy Mom trying to make a positive impact in the food allergy world. 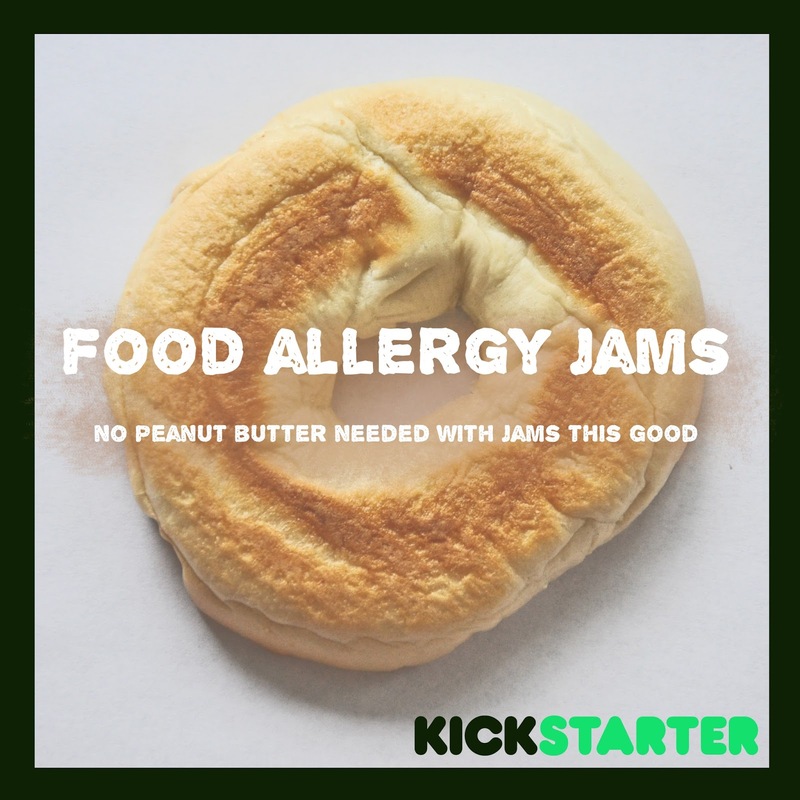 My guest blogger, Kathy Thornburg, explains the WHY behind her project, and HOW WE can help make her dreams come true by supporting this Food Allergy Jams Kickstarter Project. Here's to someone trying to take some of the fear out of living with life threatening food allergies, and using music, fun lyrics and positive energy to educate the community! The last day to support this project is Wednesday, November 19th! Please share with all of your food allergy fans, friends and family! Songs the World Might Never Hear…Without YOU! 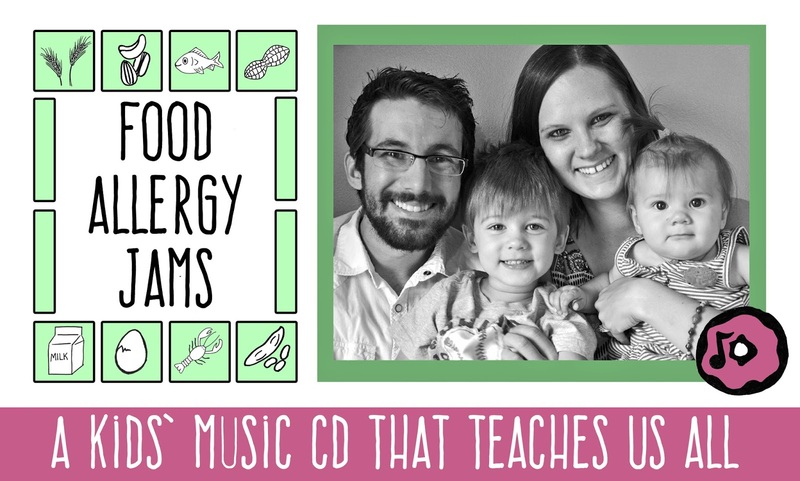 Food Allergy Jams is a kids’ music CD that teaches important lessons about food allergies in a creative and musical way. You may have read about us on one of your favorite blogs or be following us on social media which means you probably already know our food allergy story. What I want to share with you today is a little more about one of my favorite Food Allergy Jams songs and why this song is so important. The song is called, Cross Contact React. This song teaches a lesson that is so often forgotten and often misunderstood especially by people with no personal connection to food allergies. Cross Contact React is a catchy jazz inspired tune that will help remind your child to ask important questions when dining out at a restaurant or at someone else’s home. They can start by watching how you ask questions and as they get a little older, they can practice being their own advocate with your encouragement! This song opens up the lines of communication between you and your child. It gives you an opportunity to discuss more with your child about how to make safe choices to avoid cross contact. 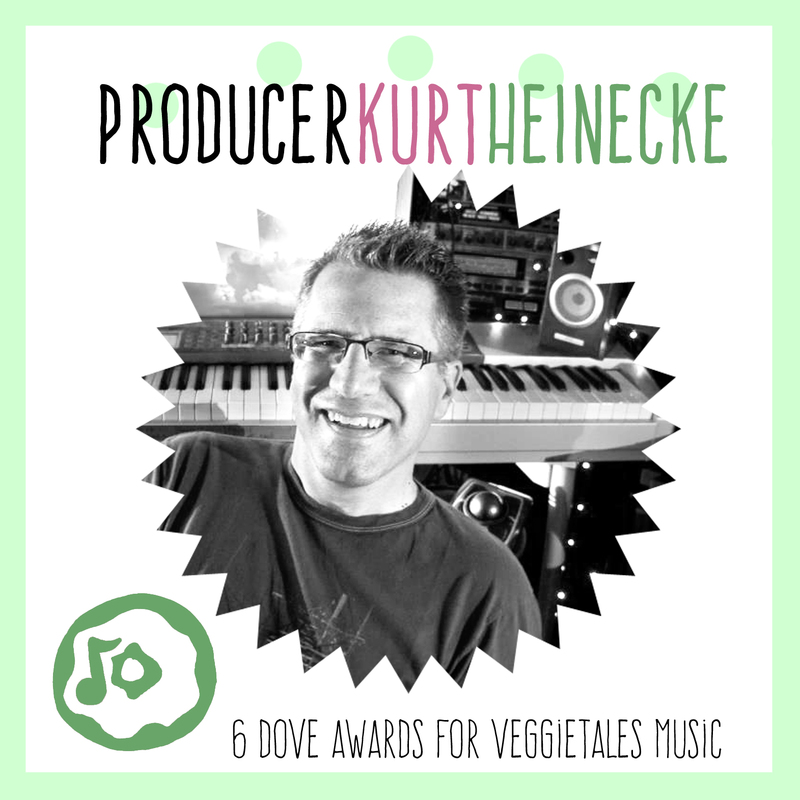 This is one of the many songs for Food Allergy Jams that is written from the perspective of a food allergic child and a song that, if funded, will be recorded with a talented child singer. I envision Food Allergy Jams to be a special CD that combines a variety of musical styles, instruments, tempos, and topics to reach out to the millions of young children living with food allergies. This CD is also unique in that you can be involved in making in happen! Kickstarter is not just about money (although of course the money is very important to the project's success). It’s about working together to create something special and helpful to the food allergy community. Becoming a backer not only gives you access to our product and provides us with the necessary funds to make it happen, but it allows you to be part of the creative process. That’s what it costs to make the CD possible! Kickstarter does not allow you to make those changes after launching your project. We can’t extend the campaign to give people more time to back as this is not allowed by Kickstarter rules. This means if you want to see our CD become a reality, it’s not enough to merely hope it funds. If you want Food Allergy Jams to become a reality, you need to support it with your pledge and your voice! 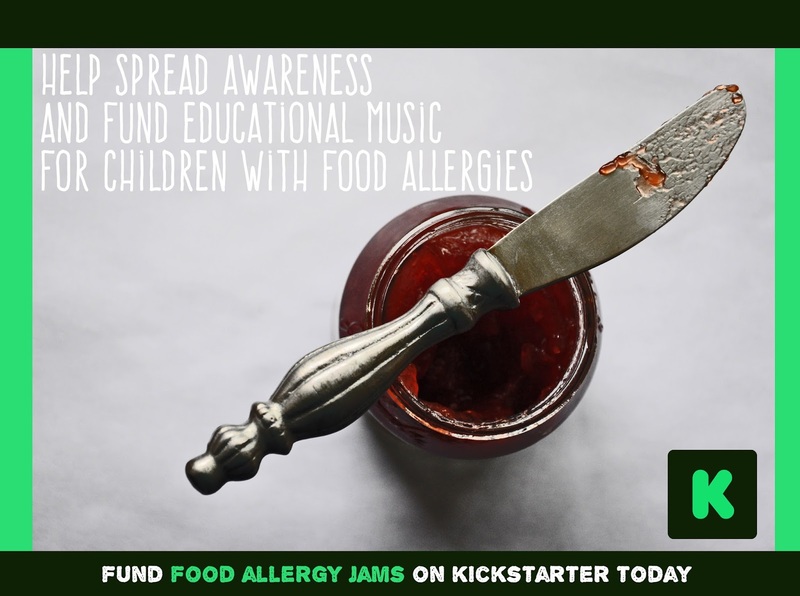 Check out Food Allergy Jams on Kickstarter TODAY and choose the reward that works best for you. Then, tell others about this campaign and challenge challenge them to check it out!